Romantic Travel to Switzerland like a romantic getaway for just the two of you or even a honeymoon? It might not be the first thing that comes to mind, Switzerland as a romantic travel destination. At least not for most Europeans. Hiking in summer times, mountain climbing, paragliding and other sporty activities like ski-ing during wintermonths is what Switzerland is about, right? Romantic travel like a getaway for just the two of you or even a honeymoon is probably something that you didn’t think of before. Switzerland has a lot to offer though, even when it comes to the romance department. We would like to challenge you and see it as a year round destination for romantic travel. From Zurich via Bern it is an amazing and easy less then 2 hours train ride to Interlaken. This route is very beautiful because it will go through two of Switzerland ‘s most beautiful lakes ( Lake Thun and Lake Brienz). This route is one of the most beautiful railway journeys that you can take across the country. 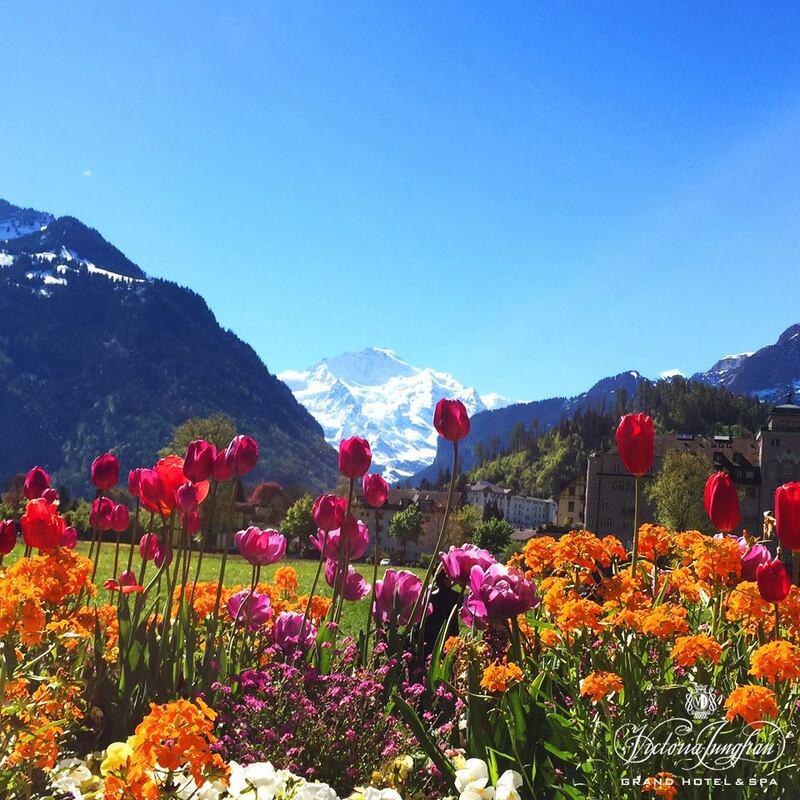 Upon arrival in Interlaken, you will be welcomed by stunning scenery. 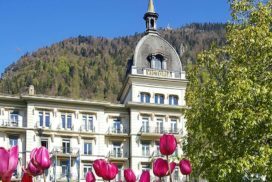 The most luxurious hotel in Interlaken is the Victoria Jungfrau hotel. It is just such a beautiful gem, a classic hotel with a lot of history. A perfect place for your romantic travel getaway or a honeymoon. 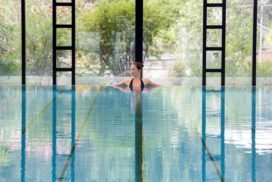 Handpicked Lifestyle loves the Victoria Jungfrau Grand Hotel for several reasons and one of them certainly is the Spa. 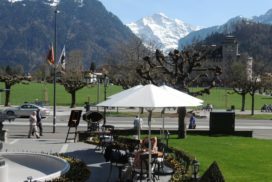 This hotel has an amazing view on Eiger, Mönch and Jungfrau mountains on the front side. And on the backside of the hotel is one of the most amazing SPA’s I have ever set foot in. 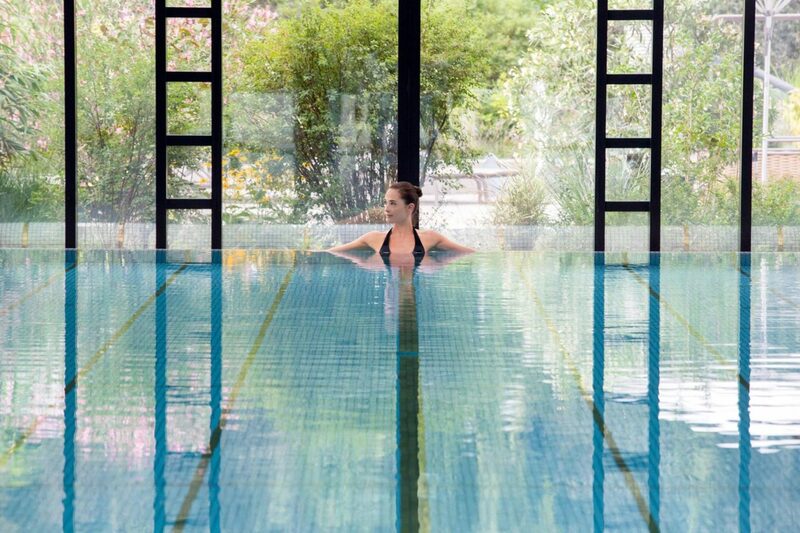 The SPA has received prestigious prices because it simply is one of the best Spa’s in Switzerland. And maybe even in the world. The Spa consists of a huge area where you can choose from saunas, steambads, colour showers and jacuzzi. Of course you can have a massage or other beauty treatment. You might even want to try a couples massage. 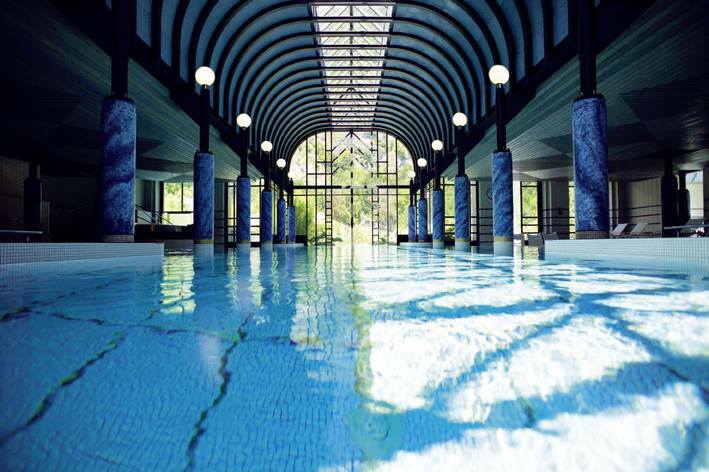 The large swimmingpool has the amazing feature that you can swim from the indoor pool to an outdoor pool. While you are outside you can breathe in the clean and fresh swiss air and enjoy the view on the mountains. The sunbeds outside are there so you can relax with your complimentary bathrobe . The jacuzzi is perfectly situated on the outside terrace. So when you book this hotel with us: Do not forget to bring your bathingsuit! 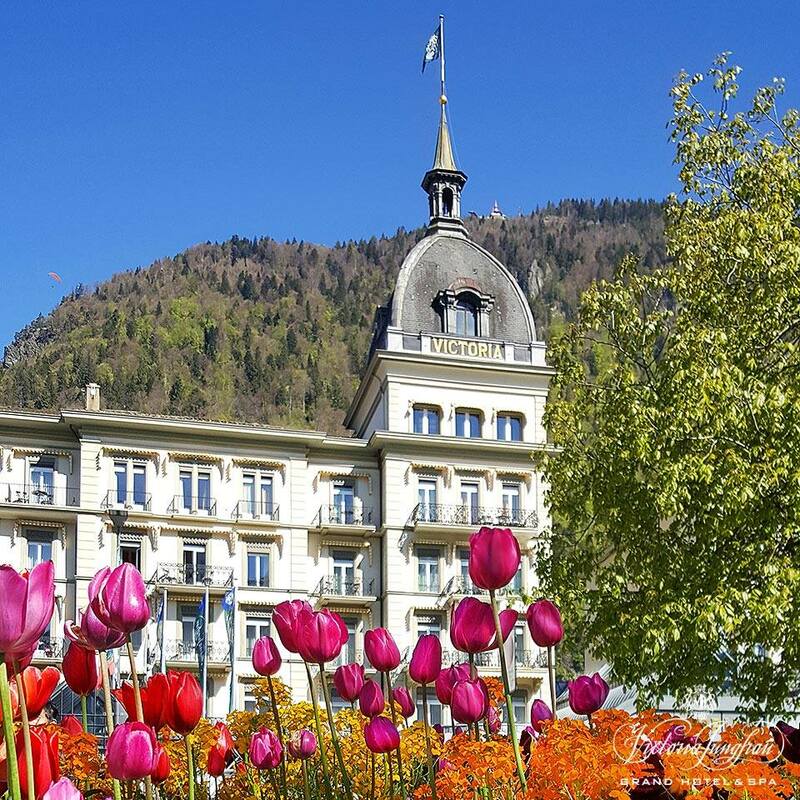 The Victoria-Jungfrau Grand Hotel & Spa has a history that dates back to over 150 years ago. This historical five-star hotel started in 1856 as a pension the Pension Victoria. 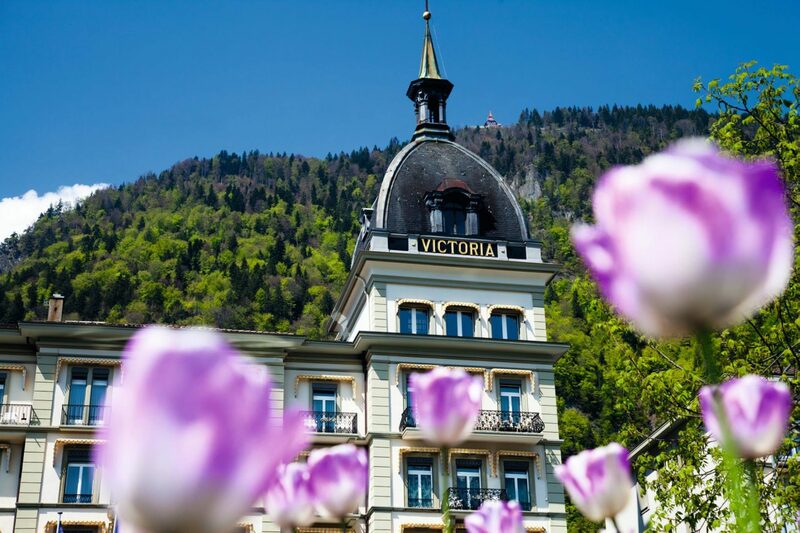 In 1899 the Victoria was linked with the Hotel Jungfrau by a domed structure from that day The Victoria Jungfrau was born. During the Belle Époque royals, intellectuals, artists and authors from all over the world came to stay at this luxury hotel. The charm of that era can still be felt to this day with beautiful gilded mirrors, stucco and crystal. When you walk trough the hall ways you feel the history in the whole building. And you start to imagine the parties that must have been celebrated in the different areas of the hotel. For weddings it would make a stunning location for an elegant gala diner and a party to dance the night away. Besides the feeling of history there is a great sense of luxury in this hotel. The service level is high and staff is friendly. The breakfast is so elaborate and the staff will bring it to your room with no additional charge. You will feel like a true princess or king when you’re enjoying breakfast in bed with open doors while feeling the fresh air of the mountains. What better way there is to start your day? The breakfast is a good indication of the culinary experiences that the hotel has set out for you. After a relaxing day in the Spa you can enjoy a lovely high tea with on the terrace meanwhile enjoying the view on the mountain and the paragliders. In the evening you can have a cocktail in the elegant bar as an appetizer. You can have diner at the informal fine dining restaurant La Terasse. 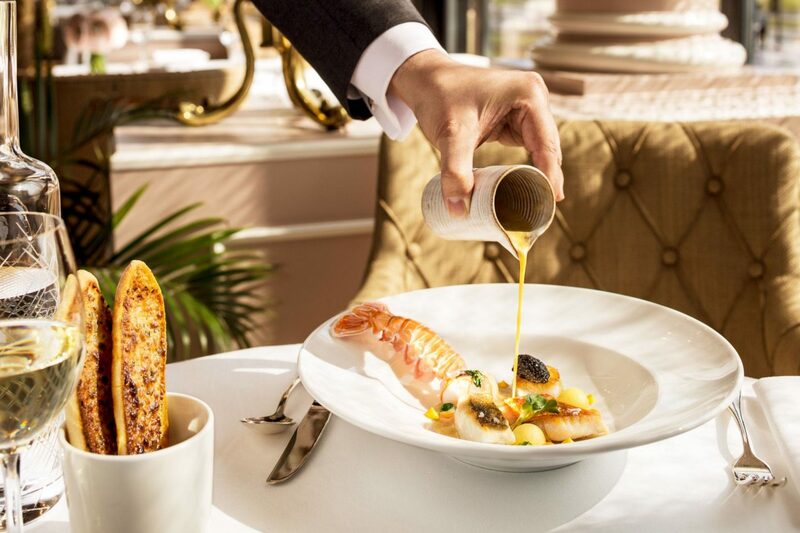 The menu, which changes with the seasons, draws inspiration from the cuisine of the Mediterranean and southern France while embracing regional specialties. 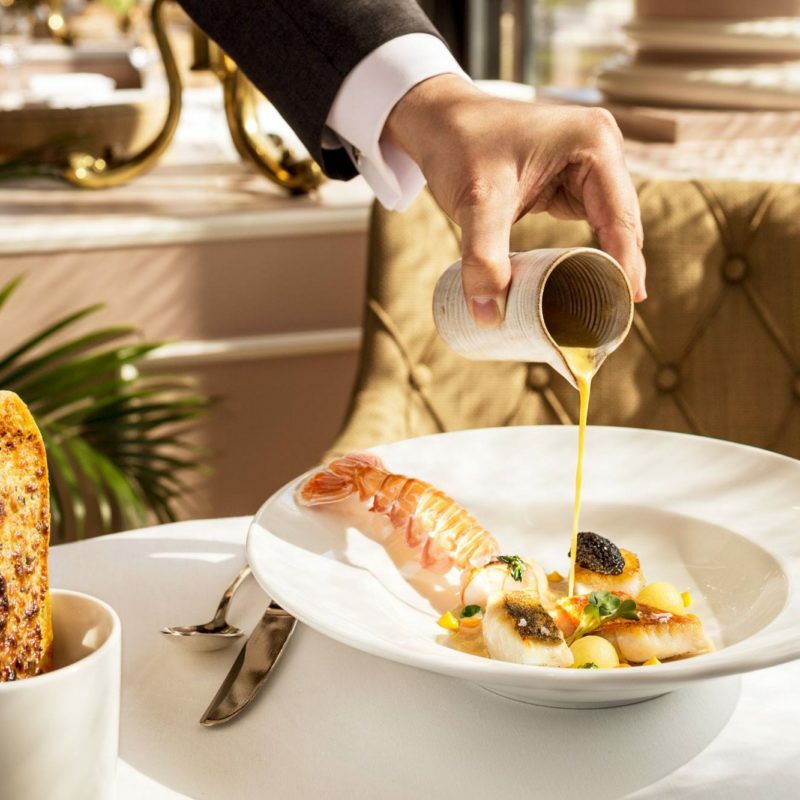 To accompany such gourmet delights, an extensive wine list includes the leading champagnes alongside a generous selection of Swiss wines, carefully chosen vintages from France and Europe and other gems from around the world. 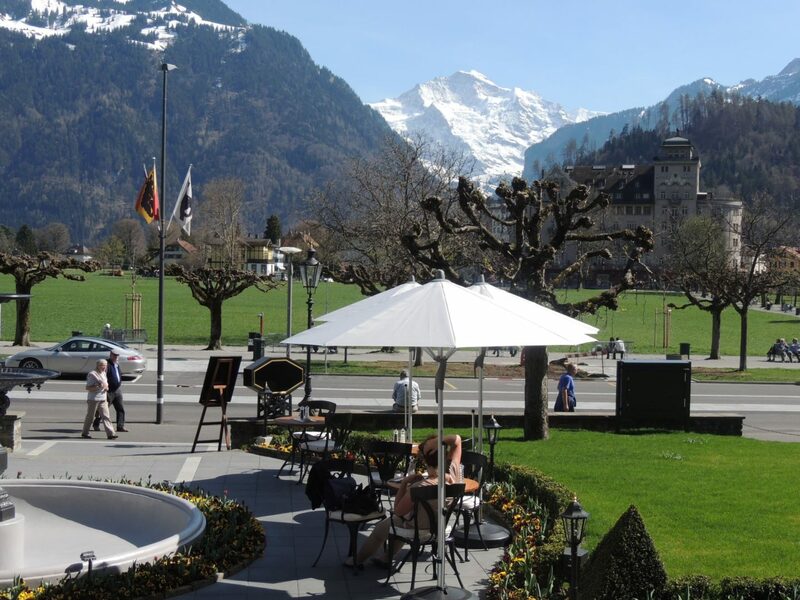 As you can see you can enjoy yourself day round in the Victoria Jungfrau hotel. But when you do leave the hotel: Get wonderful views of city as well as Lake Brienz and Lake Thun and the Jungfrau region when you travel to the Harder Kulm. Take a 10-minute funicular ride to reach the Harder Kulm. Stroll down the Höheweg – main street, lined with cafes, restaurants and shops. 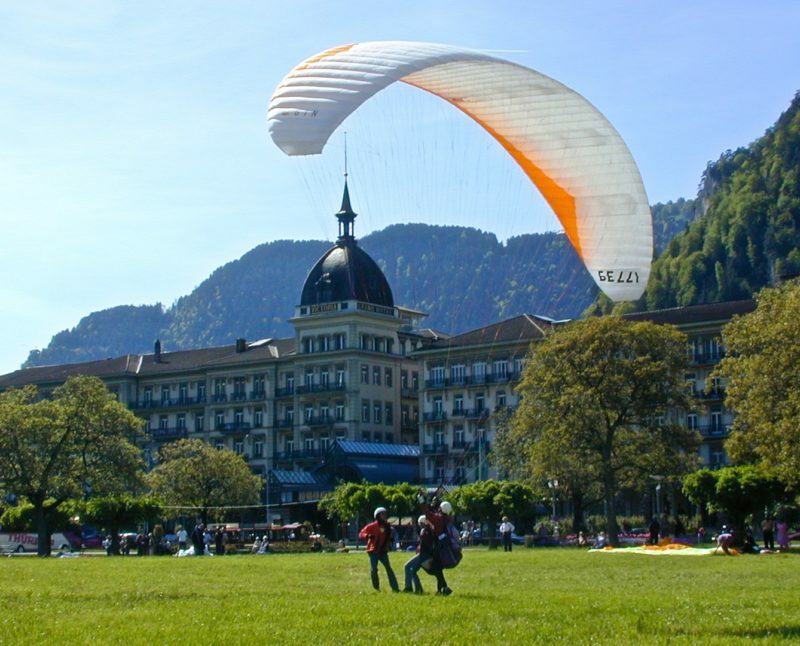 Or sign up for one of the activities like hiking, biking or paragliding in the surrounding mountain area of Interlaken. And don’t forget to try a typical Cheese or Meat fondue and top it off with a chocolate fondue! Without it your romantic travel trip to Switzerland is not complete! We will be more then glad to design this romantic travel journey for you. Make sure to contact us!